The dental emergencies are always very much painful as well as frightening. Many people are also aware of the difficulty which is mainly faced during dental emergencies. The Dental Clinic Melbourne always takes care of this particular dental emergency. So, these particular clinics always provide the best quality of the services and have availability of the weekend dentist and also the dentist open Saturday. But, sometimespeople also ensure that what usually constitutes to be a dental emergency.So, it should be preferably known that what to do at the time of a dental emergency. Also, you should particularly follow many of the important guidelines which help in the determination of the way which is considered to be best to handle any sorts of a dental emergency. There are certain kinds of dental emergencies which are generally considered to be very urgent. Apart from that, the other dental emergencies can be preferably waited to be treated. So, it becomes especially very important to understand the particular difference between these two. This applies if you are preferably experiencing a kind of dental emergency at the night time or over the weekend. And, during this particular time, many of the dental clinics are generally closed. It is very much important to deal with urgent dental emergencies in the right way. 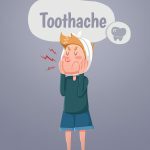 If you have experienced any sorts of these problems then you need to call the dentist immediately. In this event, an emergency number is usually possessed by most of the dentists. Mainly, in the particular event of an urgent dental urgency, you need to visit the emergency room. This applies if you are unable to visit to reach to your dentist for any particular reason. It is also recommended to usually contact your dentist as soon as possible if you are experiencing any sorts of a non-urgent dental emergency. When you preferably experience any sorts of dental emergency then it is very obvious that you need to visit your dentist. In some of the situations, it may be sometimes considered to be best to go straight to an emergency dental room. So, if you are particularly experiencing any sorts of the of the bleeding or unbearable pain then you should go to the emergency room. It is because some of the dentist offices may be closed at that time. You are particularly advised to explain the situation as well as call your dentist if you are in a kind of exceptional pain. There are generally most of the dentists who usually attempt to see you as soon as possible in that situation. Also, many of the dental emergencies are not even that urgent. 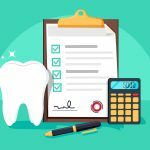 What To Do At Home If You Have A Dental Emergency? There are a variety of things which you can preferably do at home and so, it depends on the dental emergency. It contributes to ease your pain and acts as a powerful remedy for that situation. One of the most important things which usually need to be done regardless of the emergency is to stay calm. It is because if you become anxious then a number of responses are generally triggered by the body.As a result, it can make your emergency worse. So, in that case, you should try to remain calm and after that seek the assistance you need. First, you can dissolve a teaspoon of the salt and that too in a particular mug of the boiling water. After that, you can use it as a warm mouthwash in order to reduce swelling as well as relieve irritation. You need to put the tooth in a particular glass of milk if you have a tooth knocked out and this needs to be done until you preferably get to a dentist. Call our emergency dentist now at (03) 9374 2244 . 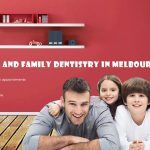 If you live in Melbourne and you are looking for a good, trustworthy after hours dentist Melbourne, which would not only offer the common dental services, it offers a lot more extra service and what’s more important, it offers a 24/7 emergency dental service and it’s one of the extremely few dentists who you can also freely visit on a Saturday. Going to the dentist is always a hassle during the weekday and the first problem is about the business hours, when most of us have to work. This generally ends up people having to either take a day off, in order to go to the dentist, or have to ask to leave earlier to make it to the dentist. This would make the whole thing getting more and more complicated and this is why so many people do constantly miss out on their 6 month check-ups and not visit the dentist, except when it comes to emergencies. Now, finally a dental service which is also open on Saturdays would make it a lot easier for you to go to your periodic check-ups or get work done on your teeth without having to cope with working hours. Niddrie dental services offers general dental check up services with the best quality tools and materials. The most common dental services include filling of holes, removal of over-decayed teeth, root canal treatment, and removal of wisdom teeth. The making, restoring and placement of crones and much more. From showing how to properly clean your teeth to the removal of tartar and proper cleaning of your teeth the specialists at Niddrie Dental Services will be more than happy to help you with your daily tooth cleaning routine ( for kids and adults alike) and help with other general dental check-up Melbourne. Also Niddrie Dentistry deals with the pitting and fixing of sealants, making of mouth guards and night guards for those with braces and for those who gnash their teeth during the night. Our dentists provide full on baby and kids’ dentistry services including the application of preventative measures and the teaching of proper tooth cleaning practices to save as many teeth from decaying later on as possible. 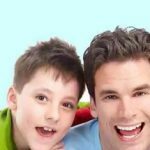 We also help in kids’ tooth adjustment and braces. You can book your appointment online so no more hassle with phone calls anymore. Niddrie is also open after regular business hours , so if you are looking for an afterhours dentist service Melbourne and weekend dental service Melbourne then don’ hesitate to visit the website of Niddrie and book your appointment today. The health of our teeth is essential for our overall mood and health. Many people don’t know but decayed teeth may cause even bigger issues than you may think and it’s exactly why proper care for your teeth is so important. In order to take proper care of your teeth you’d need to make sure you brush them well in the morning and in the evening at the very least. Although most dentists suggest to clean teeth right after every meal, it’s truly not really feasible. 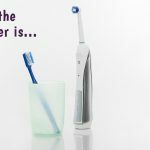 Make sure you do not forget to cleanse your tongue ( some toothbrushes also come with a tongue cleaner on the back but you can also buy them separately) and use either the tiny brushes or a dental floss to make sure you properly clean in-between your teeth, which is exactly where they are the most likely to start decaying. Use a good quality toothpaste such as Elmex which also has specific baby and kids’ editions and use an antibacterial mouth rinse or do one for yourself with adding a little bit of salt to a glass of lukewarm water. If you want to buy your mouth rinse then get one that has added fluoride in it as those work the best. Don’t let your teeth down, book your appointment today for after hour dentist Melbourne.